Need help with your next job? Search Properly’s network of tried-and-tested service providers to locate the best fit for your business. 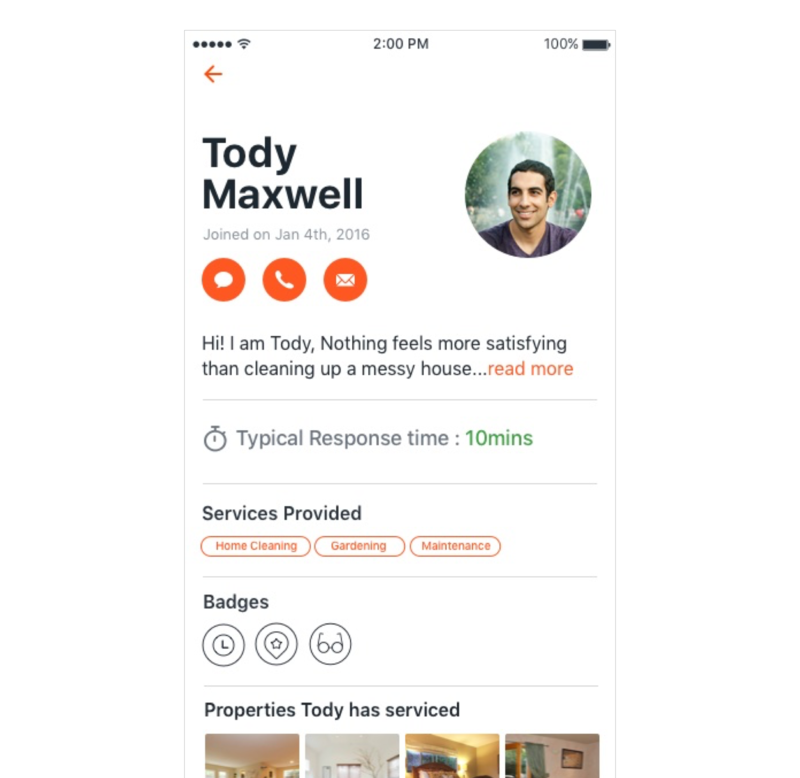 Properly’s Community Service Providers are sourced from property managers who use the Properly app. This means every service provider you see in the Properly Community has worked with property managers in the past and been reviewed for the quality of their service. You can check to see if Properly has service providers in your area with this link. Enter your service area and Properly will show you a sample of available Community Service Providers. If there are no service providers in that area currently, you can either add a service provider yourself or ask Properly to inform you when a service provider is added to that area. Already have your listings imported into Properly? You can view the Community Service Providers from any property listing in the web or mobile app. Click on any property. Below the "Send Job Request" button, you will see a link that says "See Community Service Providers". Click see service providers that service the area the property you’re viewing is located. In the mobile app, you can view service providers in your area by looking at any of your properties. 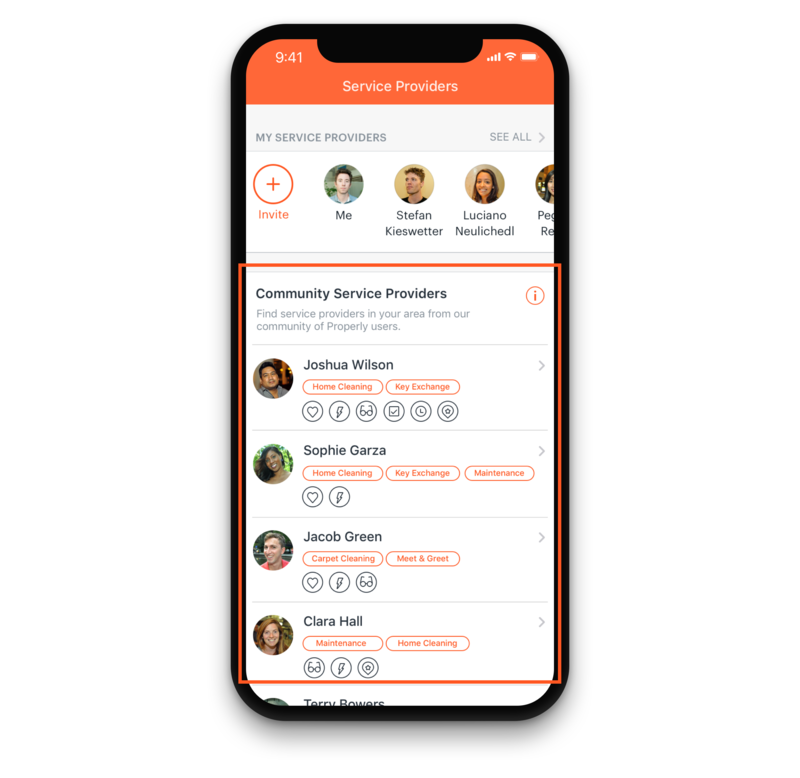 At the top of the screen, you’ll see a section titled “My Service Providers,” which will include any service providers who have already serviced this property. Below, you’ll see another section titled “Community Service Providers.” These are service providers you haven’t yet worked with who service the area in which this property is located. You’ll see each service provider’s list of services offered below their name. 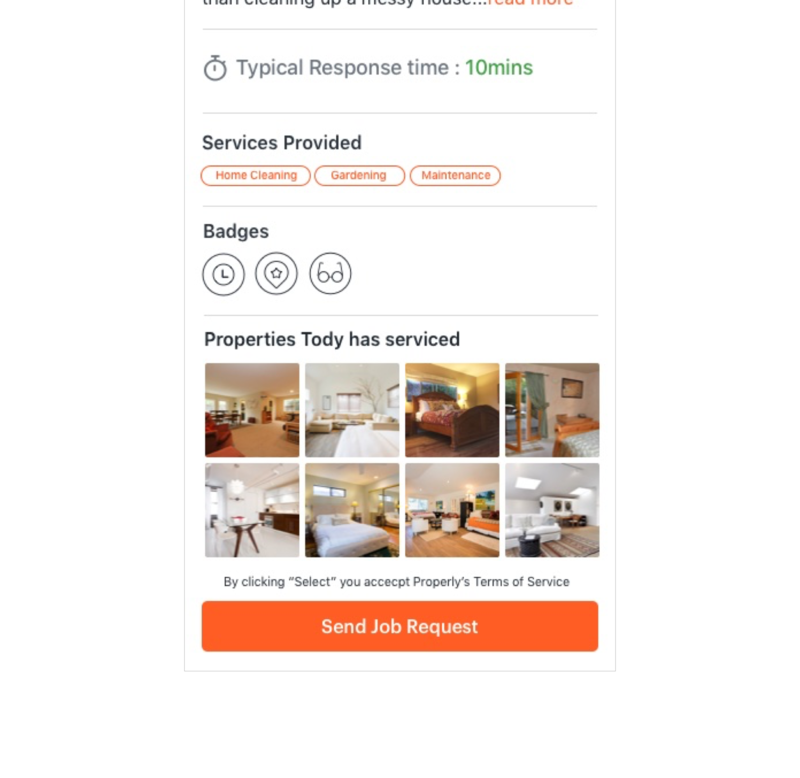 You can click on any service provider to see their complete profile, including a description of their business, properties they’ve serviced, and badges they’ve earned. If you would like to offer a job to this service provider, you can click “Send Job Request” at the bottom of the service provider’s profile. This job request will go specifically to the service provider you are viewing. How are Community Service Providers trained? Learn why it’s important to have service providers who understand hospitality cleanings. What are badges and how can they help you select the right service provider?